"People don’t buy what others want to sell. They buy what others want to buy." Being oversubscribed means there are more buyers than the capacity a business owner can provide. In every industry, there are many businesses struggling to get enough customers and yet there are those with customers lining up, joining the waiting list and paying a premium to buy from them. They are so successful that they have to turn away some customers because they are oversubscribed. With the current search technologies and the abundance of choices, why do people decide to wait for a product or pay a premium rather than to select other available or cheaper ones? 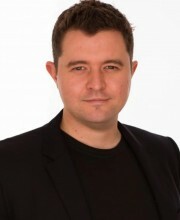 Over a period of two years, Daniel Priestley studied all types of oversubscribed businesses, from hairdressers, fashion brands, restaurants and nightclubs to consultants and luxury cars to find out what they have in common. The result is Oversubscribed: How to Get People Lining Up to Do Business with You. He observed that oversubscribed businesses have remarkable qualities and are very good at running promotions and campaigns. This book describes the principles, mindset and methods to become oversubscribed. "Becoming oversubscribed isn’t something you can do on the fly; it takes preparation and strategy executed with precision." A campaign driven enterprise is the identity businesses need to adopt in order to become oversubscribed. While most businesses are set up to win and service clients one at a time, the campaign driven approach encourages many people to engage with the business at one time. This creates synergistic buzz and excitement, and avoids boredom and burnout of the one to one approach. Planning – Know your capacity, who it is for and when you can deliver it. Build-up – Signal to the market what you are planning and get them to signal back their intention to buy. Release the products when oversubscribed, in stages, in the form of different price points and special editions to maintain momentum and energy. Remarkable delivery – under-promise, over-deliver. Innovate and celebrate – Share the success stories publicly, analyse the data for future improvement, reward the team and have some downtime. Apple campaigns are powerful because of the way they are launched. Curiosity is built-up before the event. After the launch, people are asked to pre-order to signal their interests. Steve Jobs thought it was ok to make people wait for information, the release date and even wait outside physical stores before they could buy. Apple devices were released in stages, to selected countries. This allowed the company to manage its capacity and ensure that quality did not suffer because of large demand. As a result, happy customers felt that they were part of something special. Key person of influence – A leader who is known, liked and trusted within the industry, so as to bring the team together. Head of sales and marketing – Manages leads, close sales and follow up with referrals. Head of operations and production – Focuses on improving processes and delivering values consistently. Head of finance, logistics and reporting – Helps to steer the campaign towards a profitable result. Actively seeks access to investments, loans, grants and discounts. The team members must work together to create a high performance culture. "The old adage of ‘Sell the sizzle not the steak’ is over. Today, your job is to ‘cook great steak’ and let your customers create ‘the sizzle’." In this age of social media, negative reviews spread rapidly among thousands of Facebook friends and Twitter followers, and become indexed on Google to haunt a business for years. On the other hand, if people talk about a business in a positive way, its marketing budget reduces to zero. Daniel states that the most powerful way to become oversubscribed is to be utterly remarkable in everything you do. That means having products or services that are worth talking about, offering genuine benefits and a superior experience. Oversubscribed businesses often talk about something bigger than what they do. They talk about the lifestyle of their customers, philosophy, a big problem they want to solve or the transformation they want to see in the world. For example, Chipotle is a Mexican fast food restaurant but if it talks about Mexican fast food it becomes commoditized, dull and adds to a noisy marketplace. Instead, Chipotle talks about ‘cultivating a better world’. In a Nike campaign, Michael Jordan talks about his failures, which are a big part of his success. Most businesses make the mistake of chasing after people who are not their customers instead of nurturing existing ones. Oversubscribed businesses treat their clients like celebrities and let them pull a crowd. For example, Daniel built his business by sharing client success stories and attracting people who aspire to be the next successful client. A business can be remarkable for its innovative approach or its remarkably fair deals. In either case, if the name of a business comes up in response to the question, ‘who should I buy from?’, then that is a remarkable business. "No matter what your business is, you are also a media and technology business. It’s nearly impossible to become oversubscribed at any scale without the use of media and technology." Daniel observed that big purchasing decisions will take about seven hours, when you add up all the time you spend researching and thinking about it. Google looks at these as touch points (Zero Moments of Truth – ZMOT) where people find out about a business as they are making a purchasing decision. Their research indicates that it takes an average of 11 touch points or ‘ZMOTs’ in order to build up trust with someone. They also advocate that a lot of these touch points can be found online as digital content. Businesses can leverage social media and digital technology to create and distribute 7 hours or 11 touch points of relationship building content. The goal is to entertain and educate the audience using articles, podcasts, videos, apps, questionnaires, reports, illustrations, books, case studies, and events. Be generous with relevant ideas and information for building relationship. People will then trust the business for implementation. To be effective as a Campaign Driven Enterprise, a business will need to be fast at building web pages, collecting meaningful data, using that data powerfully to optimise the business online. In particular, a business needs systems to keep track of client interactions, to manage delivery of products, and to set up follow-up reminders and notifications. Without such automation, it would not be possible to scale remarkable delivery. It is necessary to know which technologies are worth paying for, or can be built in-house, or obtained at a low cost. Oversubscribed reminds us that the purpose of a business should always be to serve its best clients within its capacity so as not to dilute its effort and disappoint everyone. Do you know your capacity to deliver the best quality and who your loyal clients are?